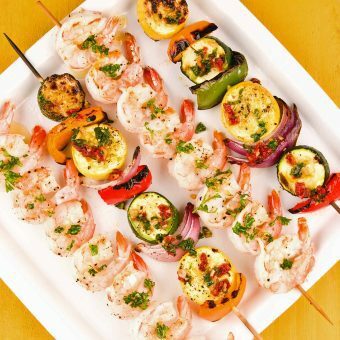 Skewers of shrimp, summer squash, red and green bell peppers and onion basted in a garlicky butter flavored with fresh herbs, balsamic vinegar and sun-dried tomatoes. 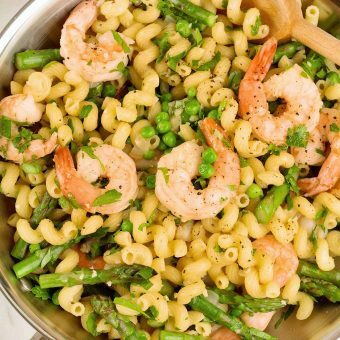 This simple seasonal recipe combines shrimp, asparagus, peas and pasta with a white wine-garlic sauce to make an easy springtime dinner. 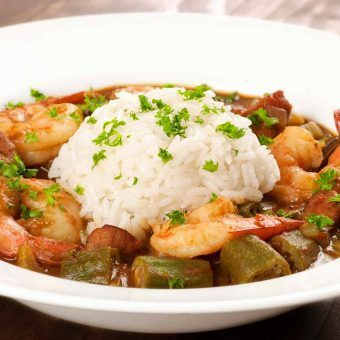 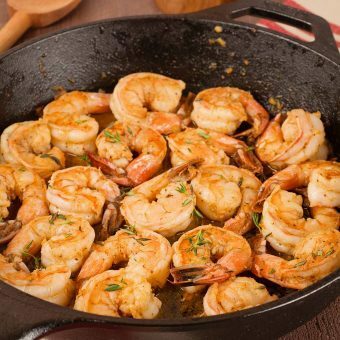 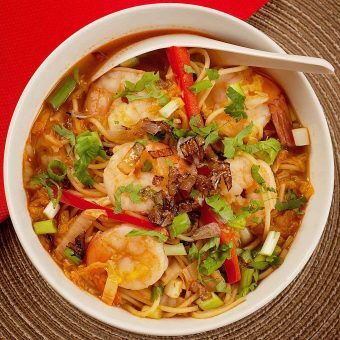 Served over rice, this quick and easy shrimp sauté gets its delicious flavor from a combination of Old Bay Seasoning, lemon, Tabasco, Worcestershire and fresh thyme. 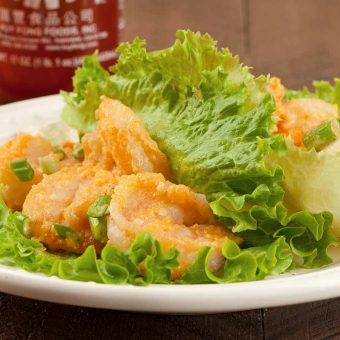 These yummy shallow-fried shrimp are coated in a creamy, sweet-hot, Asian-style sauce and served wrapped in fresh lettuce for a light, easy dinner. 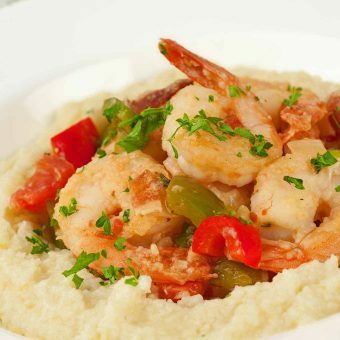 Our version of a Lowcountry classic – creamy grits with cheddar cheese and a smoky sauté of bacon, shrimp and red and green bell peppers. 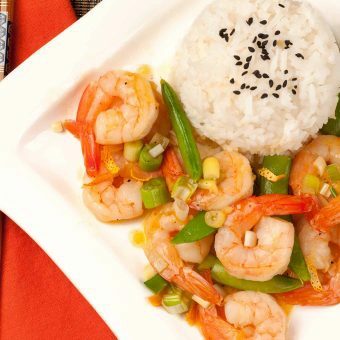 This fast shrimp and snap pea stir fry has a flavorful sauce made with orange juice, dried orange peel and sherry that’s great for serving over rice.